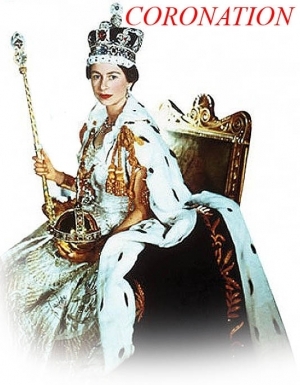 Actor Richard Burton, CBE (1925 � 1984) was no stranger to pretty feminine faces - and as a Welshman, he was no fan of British royalty; so it must have turned some heads when he listed Britain's Queen Elizabeth as one of the most beautiful women in the world for the editors of PAGEANT MAGAZINE. The attached column makes no reference whatever to VANITY FAIR's foray into clairvoyance and simply served to introduce the future queen to the readers of North America. 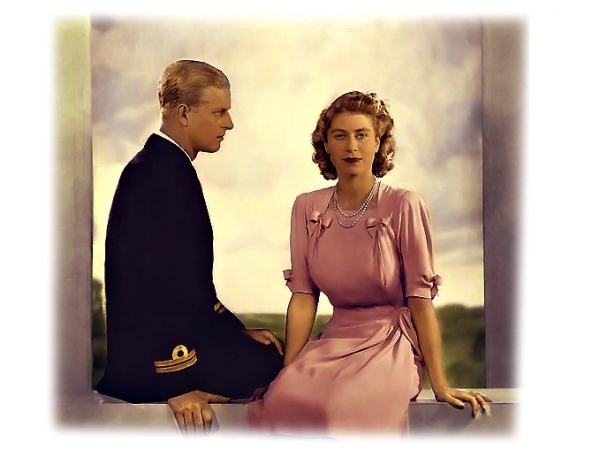 The attached article was about the Spring of 1944 and why it was such an exciting season for Princess Elizabeth Alexandra Mary of England (b. 1926): the twenty-first of April marked her eighteenth birthday and her country was entering the last year of their bloodiest war, while the princess herself held two positions that she took quite seriously: Patrol Leader of the Buckingham Palace Girlguides, as well as Colonel-in-Chief of the Grenadier Guards. There were also times when she was required to join her father when he was in conference with his ministers. Also addressed in these pages was the royal concern as to who was suitable to be her mate; a list of names was provided. ...and it was decided that Elizabeth must not enlist in anything, that her training for the throne was of the first importance. But Elizabeth felt that she would be a slacker and carry about an inferiority complex for life. So for a year, relentlessly, she persisted. Just before her nineteenth birthday, her father gave in..."
The cinematic tastes of ER II are, like the sovereign herself, deep and complicated. A vast number of geeks employed by this website were sent forth far across the deep green sea in order to find out what her favorite movies are, and we were not at all surprised to learn that she favors the James Bond films. Contrast those movies with the earliest of her film choices and you will be able to trace her development through the years - another article on this page makes clear that she enjoyed the Shirley Temple series - but hold the phone: the attached article from THAT SAME YEAR indicates that she enjoyed A DIFFERENT MOVIE AS WELL!